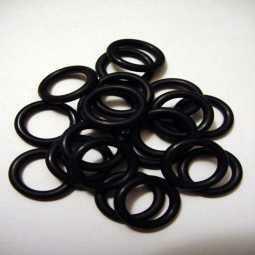 BULK PACK OF 10,000 BLACK O-RINGS FOR WACKY RIGGING 4" & 5" SENKOS SHIPPED IN A STANDARD PACKAGE WITHOUT A LABEL. THESE TOP QUALITY MADE IN THE USA ORINGS ARE AVAILABLE IN ANY QUANTITIES YOU REQUEST - FEEL FREE TO CONTACT ME FOR QUOTES ON LARGER QUANTITIES OR OTHER SIZES. 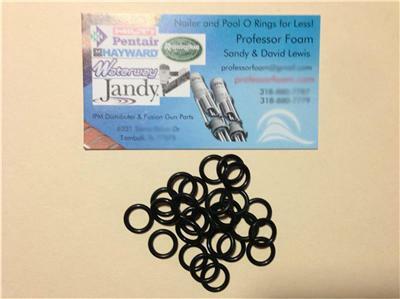 I sell Thousands of O Rings per year and I only sell the best quality available and have the FASTEST shipping around! Check out my feedback! Shipping: Kit will be sent first class mail with out tracking. If you want tracking use First Class Package!